ARC Realty, a full-service real estate brokerage firm, is pleased to announce that it will be adding to its already successful real estate operations by expanding into the Montgomery, Alabama area. Norman Schlemmer from Alfa Realty, the largest residential real estate brokerage firm in Montgomery, will serve as Managing Partner of ARC Realty Montgomery. 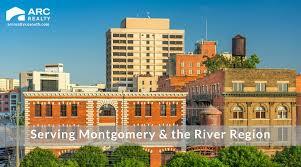 Along with an established agent force, managing nearly 300 current listings, ARC Realty Montgomery will bring ARC’s industry-leading practices to the river region. ARC Realty Montgomery also will include New Waters Realty, the on-site management team for The Waters, a Pike Road community. Please call us at 866-283-2532 or 334-270-2734 if you are local. We would love to be of assistance!